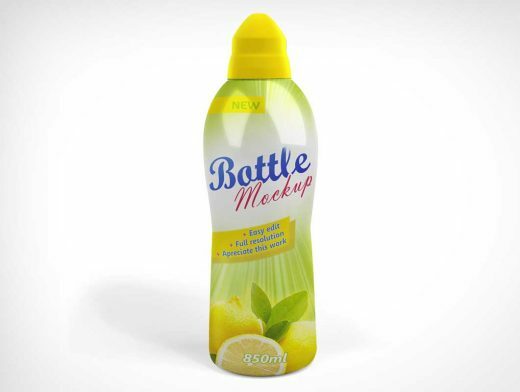 Lemon Scented liquid dish soap bottle mockup. This PSD mockup is perfect for rendering your own scented liquid dish soap design onto the front label of a 3D rendered plastic bottle. This bottle simulates a fully opaque plastic bottle.